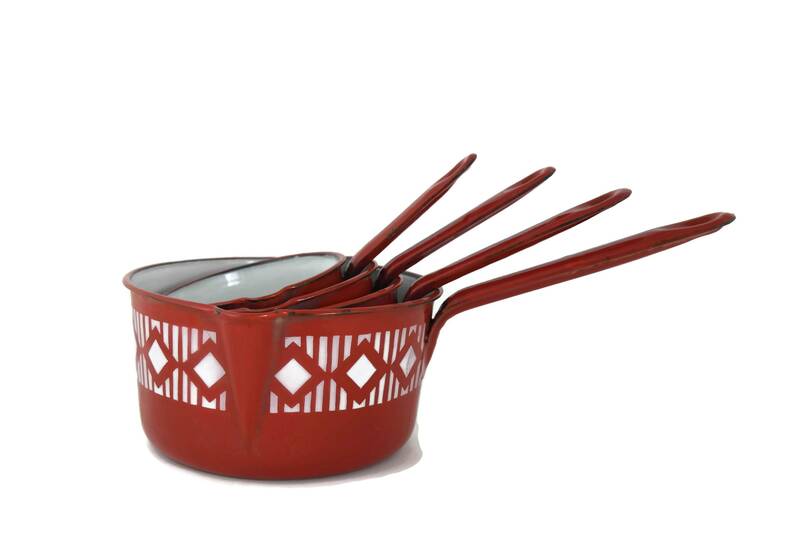 A gorgeous French enamel saucepan set dating to the 1930s. 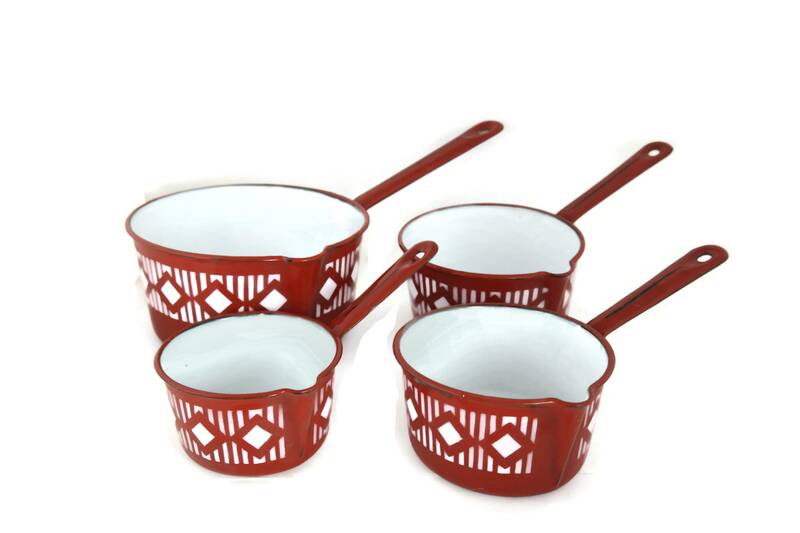 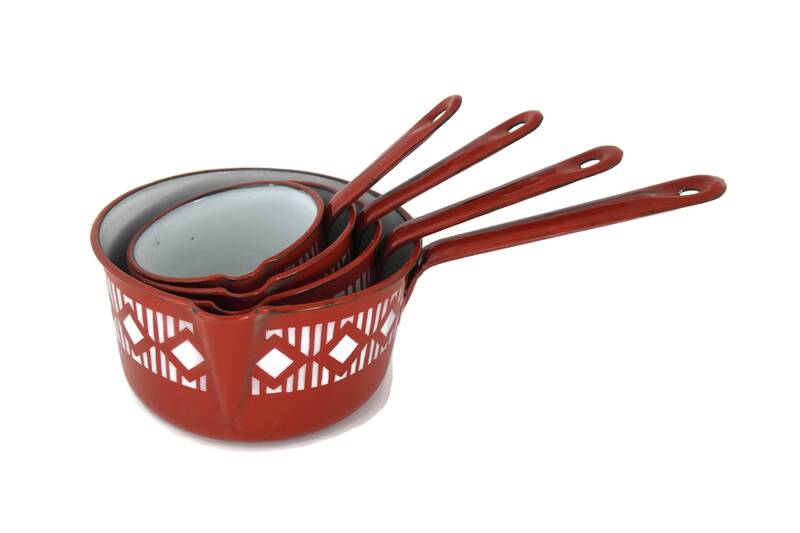 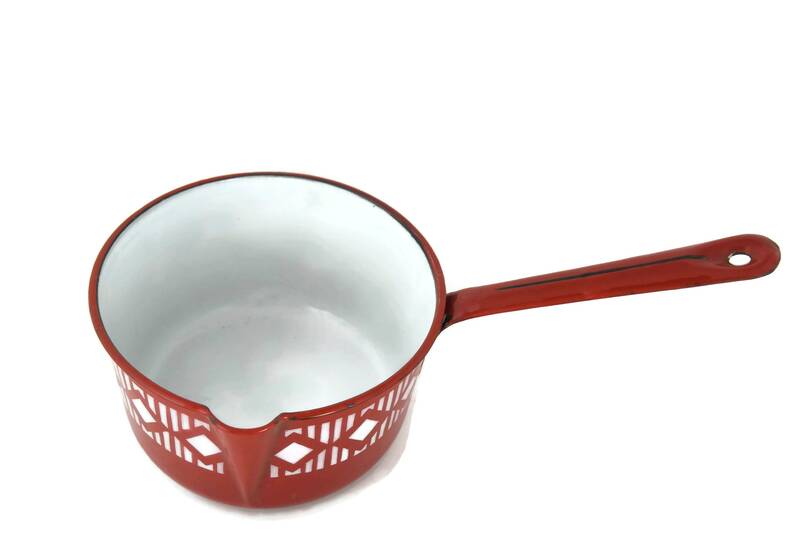 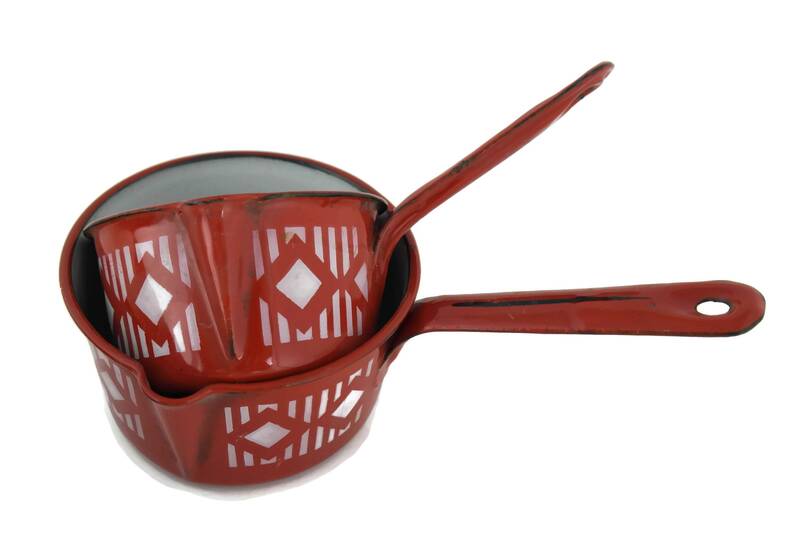 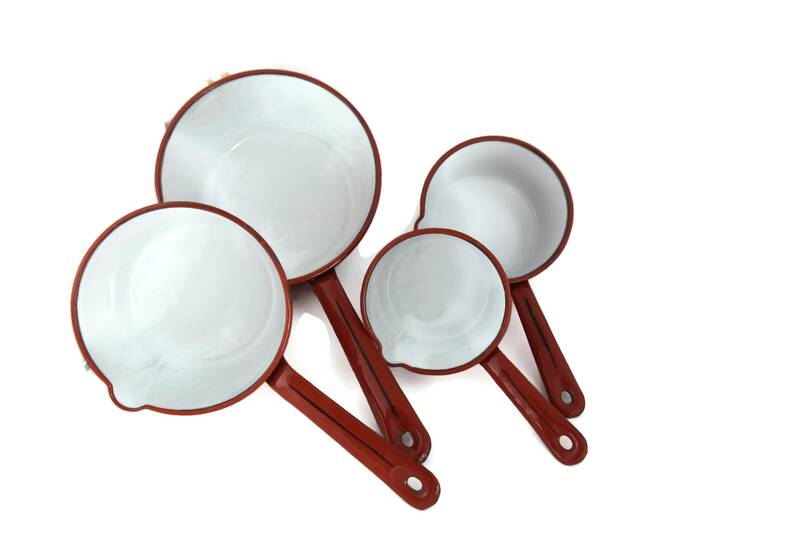 The graduated set of 4 red and white enamelware pans features a traditional design with long handles and pouring spouts. 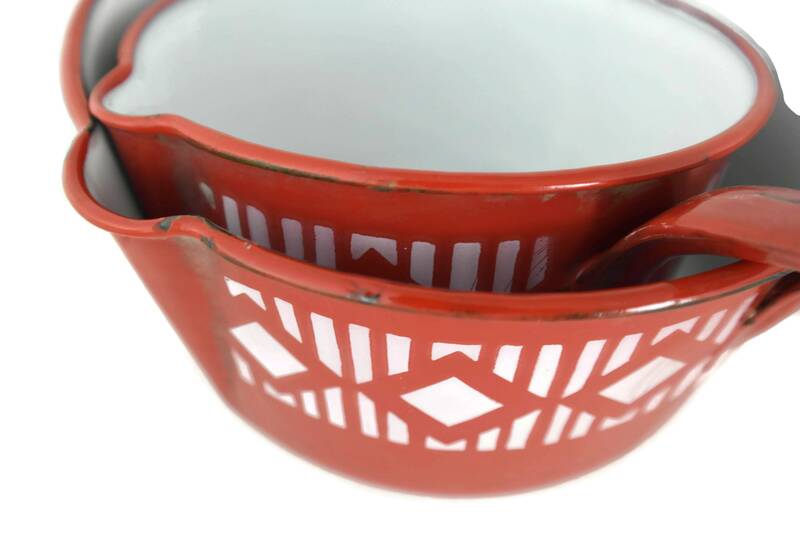 They have a bold Art Deco geometric pattern and the interiors are lined in white enamel. 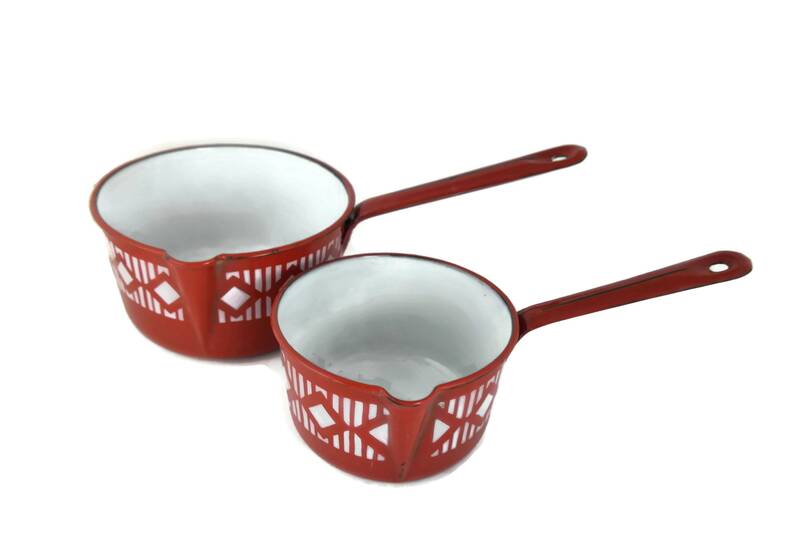 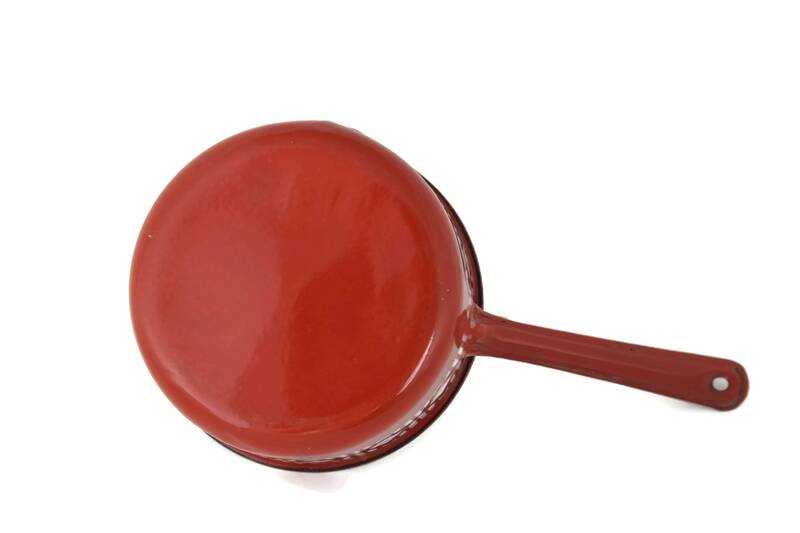 The vintage red saucepan set is in excellent condition with small flakes to the enamel in places. 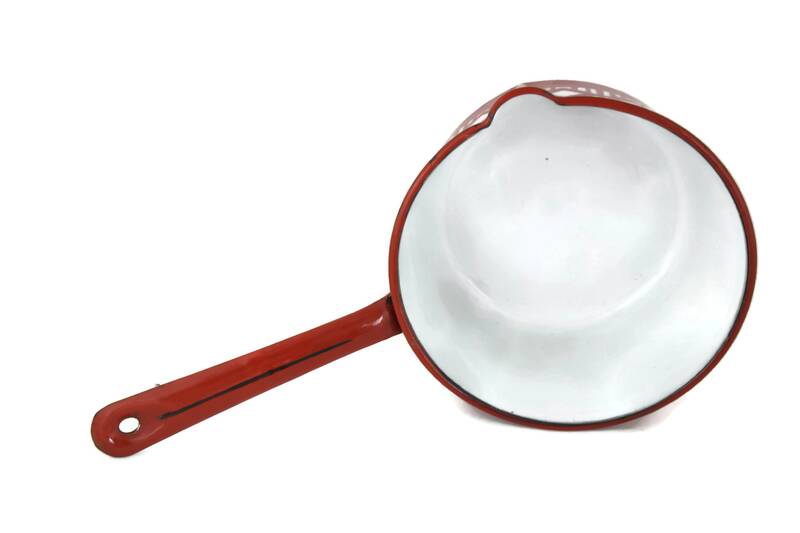 There are no chips or damage.